Whether you are learning to cook or living on a tight budget, there are 5 foods which are versatile and cheap so that you can add them to meals on a regular basis without having to make your meals boring. One of the hardest things to do is to create meals that are appetizing while living on a tight budget, but with a little creativity you can have your family amazed every night of the week with a few basic ingredients in your pantry. Firstly the starches, things like rice, potatoes and noodles are used in their base form as a side to the meal, but by making them the base of the meal or adding them into the meal in creative ways will not only give you a variety of dishes but also provide meals which are filling. 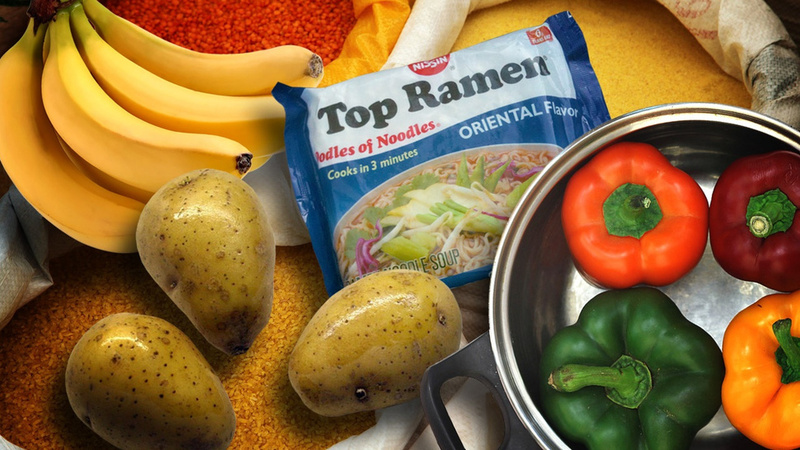 Make sure that you have rice, potatoes and noodles in your pantry at all times. Secondly some flavor and colour with bananas and peppers, bell peppers, jalapenos or poblanos are extremely versatile. Bananas are a fruit, but they are also delicious when added to a meal. Lastly your spice rack and flavor enhancers, things that you want to add to dishes to alter the taste are important. With the tips in the article on Lifehacker and these important ingredients you will always be able to provide tasty meals without resorting to the same boring meals week in and week out.